Our skin care routines | Is This Mutton? What gets us started on the beauty trail, and how do the women in our lives influence our skincare choices? I've been finding out from four women who were happy to spill the beans on their skincare habits. 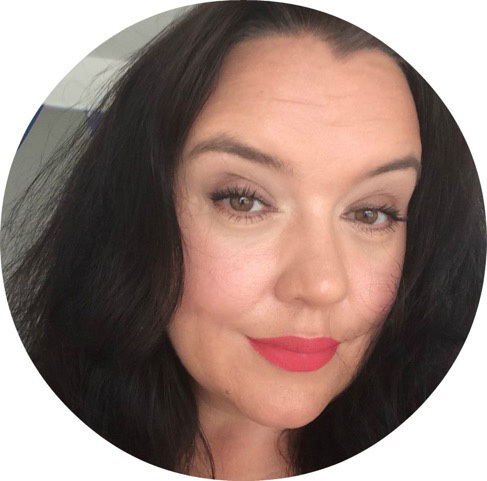 Rebecca Lodge, above, the fabulous vlogger behind Rougepout, describes herself as a stubborn Yorkshire lass who, "against all advice, wore and still wears red lipstick." Rebecca's first cleanser was Anne French cleansing milk. Remember their memorable ad in Jackie magazine showing a filthy cotton wool ball? This was swiftly followed by Pond's: "The cold cream I used as a cleanser and it was the start of my interest in taking my makeup off in the proper fashion," Rebecca recalls. Rebecca's mum was a big user of what we then called Oil of Ulay, now Olay, which was pink and came in a big glass bottle. But it was Aunt Mary and her long red nails that turned Rebecca into a glamour queen. She was determined to have similar nails when she was older, and she did. Nowadays, as a beauty blogger and vlogger, Rebecca gets to try many products. She embraces the fact she has oily skin as it gives a glow. "My twenties and thirties were a time of ensuring that everything was matte, lots and lots of loose powder applied, it would swirl around my head like icing sugar. "During my thirties I worked for a cosmetic house, so makeup was piled onto the face and needed to last all day, I loved it, smokey eye, red lip. Rules are made for breaking! "I’ve been lucky, my skin has rarely been a problem throughout the years, I have more pigmentation, which comes and goes, I have lines, mainly from years of squinting and frowning and it takes longer to gain a brighter looking skin surface, but, I like the face I have, I’ve enjoyed the journey so far. I rarely concern myself with problem areas, I feel my skin is in pretty good condition and I am happy with 46 years of life and a vast amount of skincare." Rebecca turns her bathroom into an apothecary once a week to give herself a facial, and she is currently enjoying using Nuxe Multi-purpose oil for body, MV Organic hand cream and Odi and Birch serum, For eyes she loves the Jojoba oil to condition lashes from MV Organic, plus Superdrug optimum eye cream. Rebecca doesn't believe in cellulite products and suggests using a body brush to brush towards the heart and exfoliate the skin. 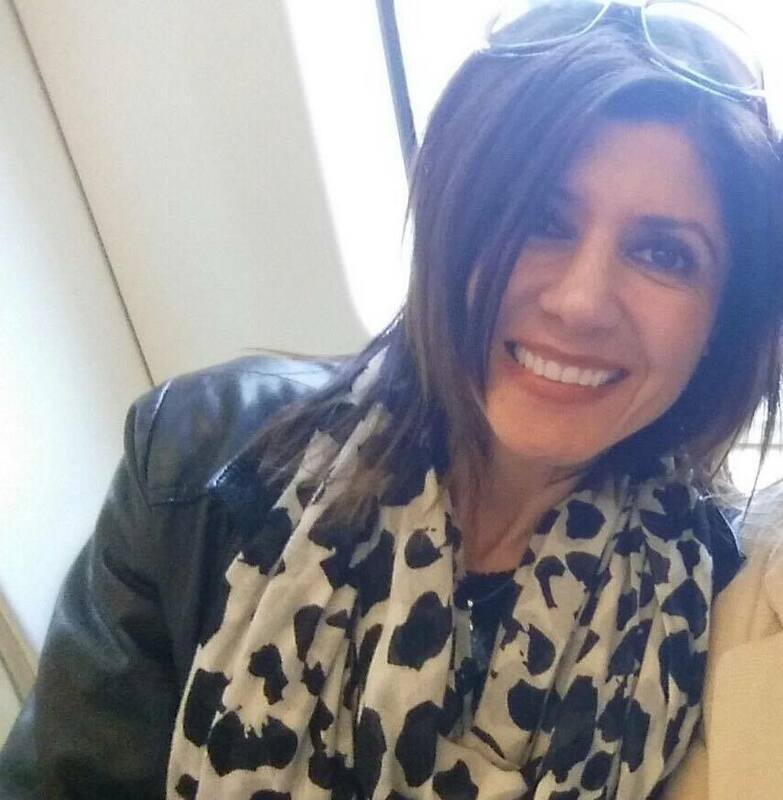 Chartered accountant Hanife Melbourne, who is a Bow's Bells born Londoner, has been keen on cleansing, toning and moisturising ever since she first read about it in Cosmopolitan, probably around the age of 13. Her mum had a simple routine of using Palmolive soap followed by Nivea cream and later, Avon Rich Moisture cream. (My mum was the same - Nivea cream, Avon eye and throat oil, and Avon Skin So Soft bath oil). Hanife was troubled by a few spots and tried Clearasil followed by something harsher in an orange bottle. "I can't remember the name but it all cleared up by the time I hit 21, fortunately. She has always tried to look after her skin and has stretched the budget for quality products. Says Hanife: "Sunscreen is a must and has been for a while, so I hope that is paying off. Trying to stop the ageing process is another game altogether. How I fare with that sometimes depends on the week I have had!" She likes salon facials but doesn't have the time so instead gives herself home treatments. "As a swimmer I am conscious of the damage I may be doing to my skin, so I usually put a mask on after swimming. Clay ones work best for me. Glamtox do some pretty good ones but when the budget is stretched I buy a supermarket one." Her routine is to cleanse with La Roche-Posay Rosaliac, serum vitamin C (Zo), Hydra Beauty moisturiser from Chanel and a Clinique eye cream. For sunscreen she is trying a new brand called Soleil Toujours. Finally, Hanife always removes make up before bed and cleanses again in the morning. 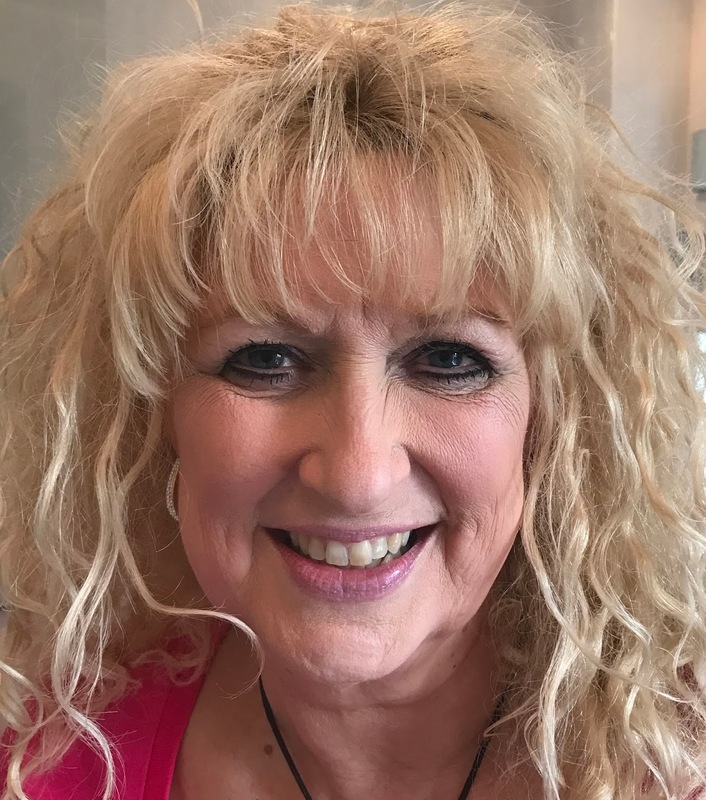 Linda Mclean from Canterbury in Kent also started her skincare journey at 14 with Anne French cleansing milk followed by rose water and witch hazel from Boots. She had seen her mum using Anne French (which you can still buy!). Over time Linda has found her skin has got drier and more sensitive. 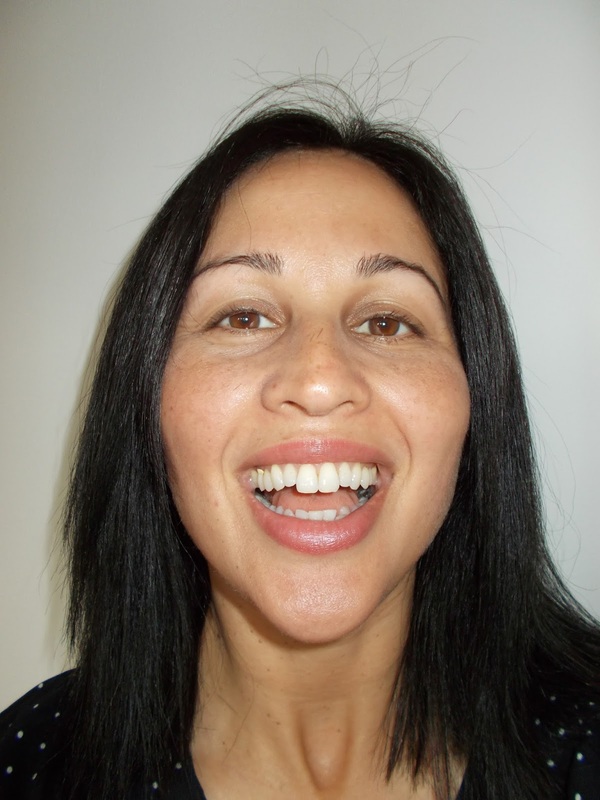 She loves salon facials and enjoys CACI and normal facials every three weeks. Linda cleanses twice a day with L'Oreal Age Perfect cleansing milk followed by L'Oreal Age Perfect toner. She uses a serum twice a day, Younique instant uplift serum in the morning and Estee Lauder Night repair in the evening, Three times a week Linda uses Younique charcoal mask, and and Body Lotion from Dove every day. Her daughter, who's 33, has a similar routine but for oily skin. If she could turn back time to the age when she believes her skin was at its best, she chose 30, which was the same choice as Hanife. Lifestyle blogger Shakira Sturgess from Miss Simple Living was another who started with Anne French Cleansing Milk, along with Pond's cold cream, Clearasil for spots and St Ives Apricot Scrub. Her mum washed her face with cold water and then used Pond's. Shakira says her main problems now are dealing with skin pigmentation and a few fine lines. She tries to keep her face out of the sun and hydrated at all times with serums. She loves a salon facial and has one every two months. She recently tried an acupuncture facial. "Not for the faint hearted, but gets good results!" In between salon visits, Shakira makes time for a face mask and manicure at home once a week. "I really enjoy this time and plan this in to my weekly schedule." She is not impressed by the way brands advertise beauty products to older women. "It's always about lines and wrinkles, as if they are terrible things to have. Advertising should embrace and celebrate women’s skin as we get older." Shakira's regime is cleansing every evening with Simple Cleanser; moisturising ith Natacha Hatfield Organic Skin Care Oils and using Organic Pharmacy Peel Mask with Vitamin C once a week. She uses Nivea Body Cream & Shower Gel. Plus she always wears sun screen and wishes she had started doing this when she was younger. Shakira's other tip is to take fish oil tablets which are good for keeping moisture in the skin. And, going back in time, she believes her skin was at its best between 25 and 30. What are your hot tips for looking after mature skin? And what was the age when your skin was at its best? Sharing this post with #SaturdayShareLinkUp at Not Dressed as Lamb. For more Mutton follow my blog on Bloglovin and receive a weekly email on my updates. Don't miss "shoe of the day" on the Is This Mutton? Facebook page. And check out the Is This Mutton? Pinterest boards. Why did they change it from Ulay to Olay? For some reason I liked it better with the old name. My skincare is shamelessly copied off my mum for the simple reason she never has/had to wear foundation, her skin has always looked clear and firm. I wash with a ... gasp ... citron facial soap, then use aqueous cream or the blandest moisturiser I can. Although I have recently converted to Child's Farm baby moisturiser! It smells amazing. In terms of treatments: bio oil or olive/coconut oil masks, and pharmacutical witch hazel for break outs. I've bought many things over the years but always come back to this. It just seems to work for me (and get my face full of make up off well). It's interesting how our mums are always such a strong influence. And sometimes they have gone through life with such simple routines, yet their skin looks great. It makes me wonder why we, their daughters, spend so much on skincare! I remember all too well those spot treatments!! And trying to hide the spots with Rimmel's "Hide n Heal" stick. Very informative post. Basic skincare is more important than makeup. If you don't have good skin no makeup will give a change. Skincare is something which every girl want to do without making any specific effort. Thanks for sharing. Is This Mutton? featured in an article!